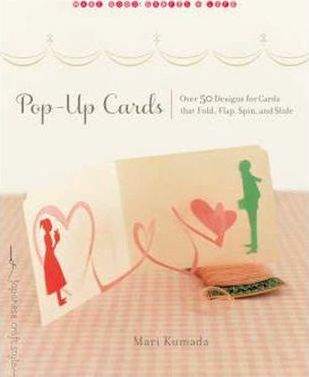 A card is an even more special gift when it's made by hand, and the cards in this book make the giving even more fun through designs that pop up, move, and spin. The charm and whimsy of these cards will elevate any occasion. From children's birthday cards with wheels that spin to get-well wishes revealed with the pull of a tab and gift boxes that magically take shape when the card is opened, the cards in this book are sure to please. With over fifty designs for a range of occasions--from birthdays, baby announcements, and get-well wishes to Easter, Halloween, and Christmas--there's sure to be something for everyone in this book. Each project is presented through beautifully styled photographs, clear step-by-step instructions, detailed diagrams, and templates. Even those new to working with paper will be able to make the whimsical and elegant designs in this book. Make the cards in this book and give your friends and family a keepsake they will treasure. A craft book author and illustrator, Mari Kumada has a particular fancy for being surrounded by pretty papers--wrapping paper, stamps, bookmarks, and the like. She got her start at Hand & Heart (Benesse Corporation), where she oversaw the magazine's pages featuring handmade craft goods such as sashiko embroidery, appliqué, claywork, and so on. Kumada is the author of First Kirigami Lessons (Shufunotomo) and the coauthor of Fun with Pipecleaners (Ondori), Cute Kirigami Lessons (Shufunotomo), and Colorful Dip Art Accessories (Ondori), among others.